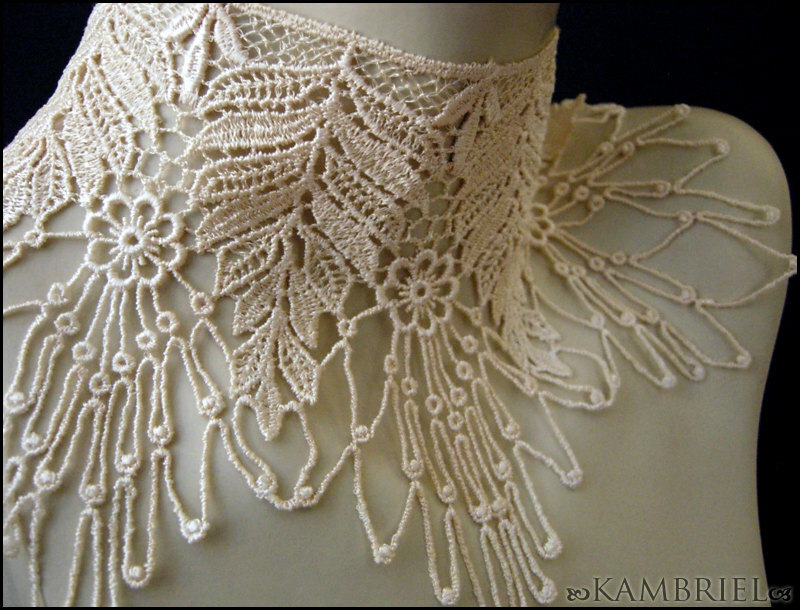 This romantic, cobwebby choker is made from vintage ivory Venetian bridal lace patterned with a romantic combination of leaves, flowers, and long stylized spiderwebs. 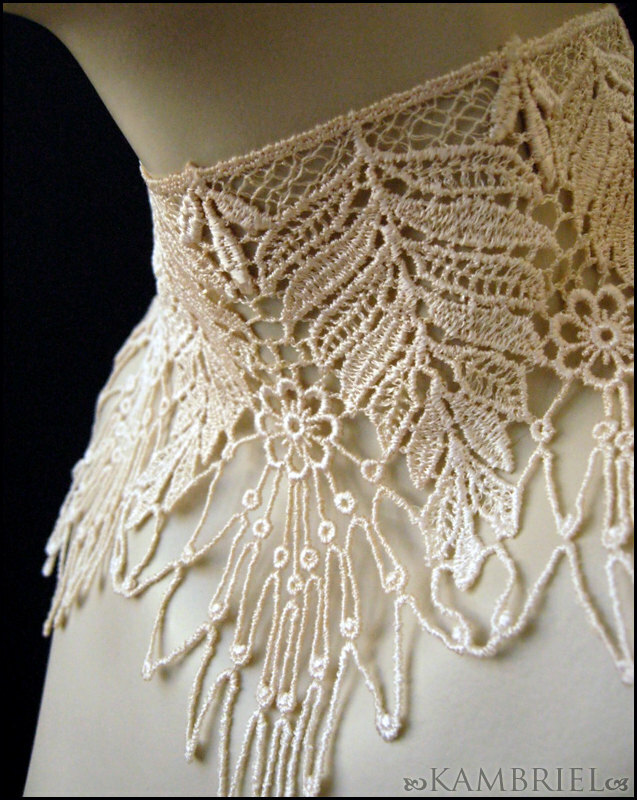 These are tea dyed by hand to create even more depth and a sense of tattered history, as well as one of a kind charm (due to this, please consider there will be slight differences in each choker, so each will vary slightly in tone from the sample photo, though the vintage lace is the same design). The choker has an adjustable chain closure in the back, and can fit sizes anywhere between approx. 12 1/2" - 15 1/2". If a smaller or larger size is needed, you are welcome to specify a neck circumference when ordering. If you prefer to order with cash, check or money order, click here.